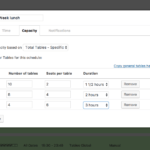 Quick Restaurant Reservations allow you to manage reservations for your restaurant business. 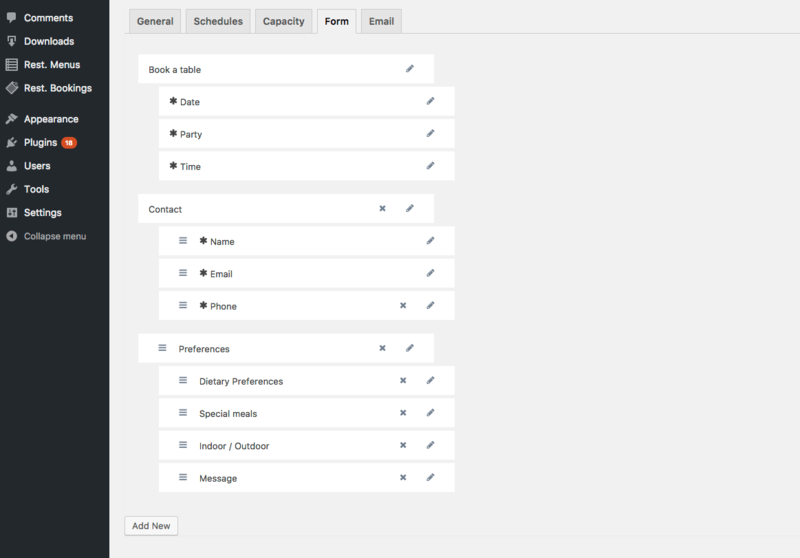 Your clients will be able to see available times and receive directly email notifications. 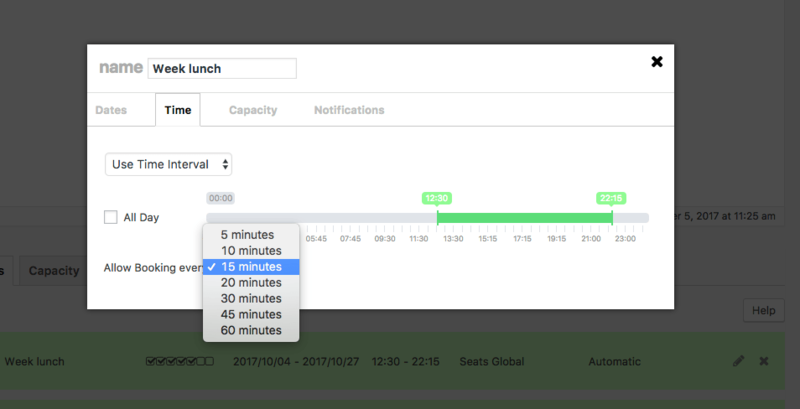 Use automatic confirmations until a number of seats are reached. 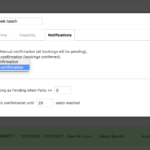 Quickly confirm or reject bookings and send manual updates to users. 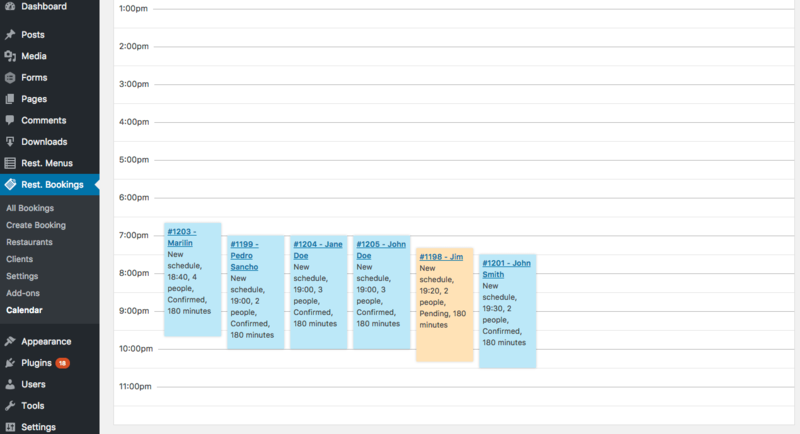 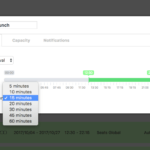 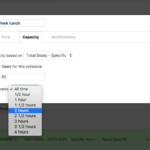 Restrict booking days and times and select total capacity for different schedules. 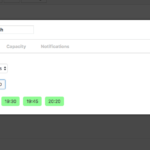 Create as many restaurants as you need. 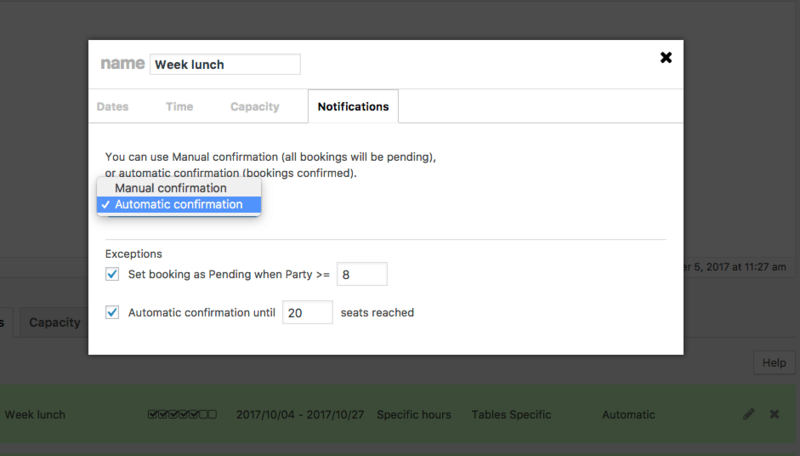 Each booking request is attached to it’s restaurant so you can easily filter them. 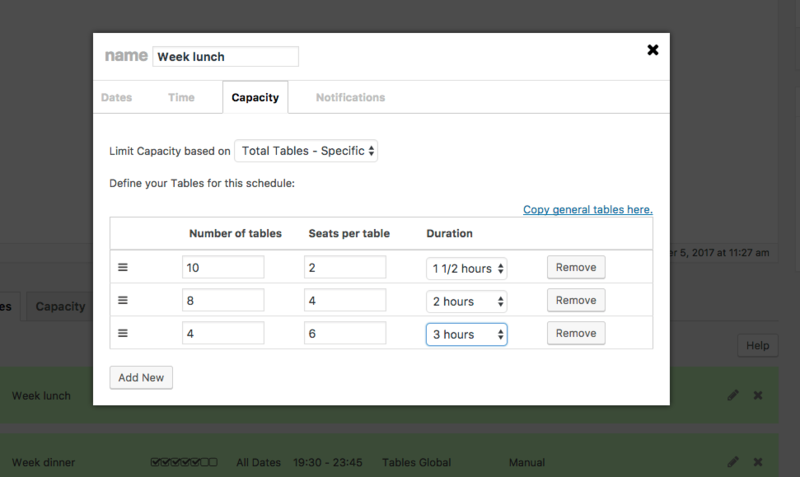 You could even create a booking service for hundreds of restaurants. 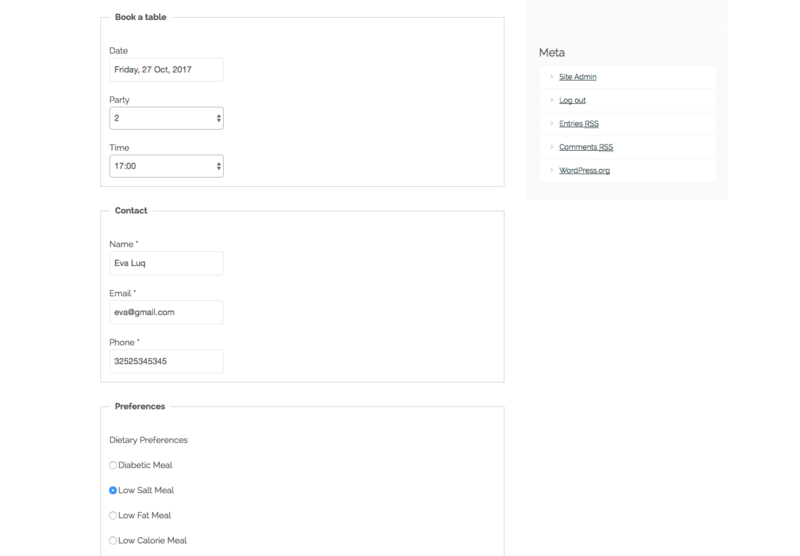 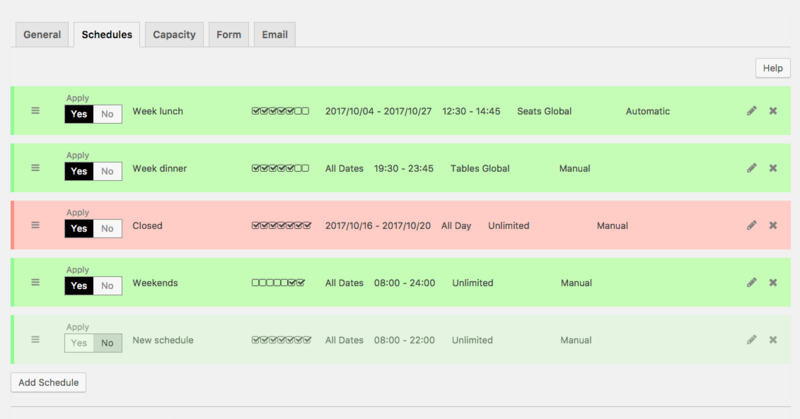 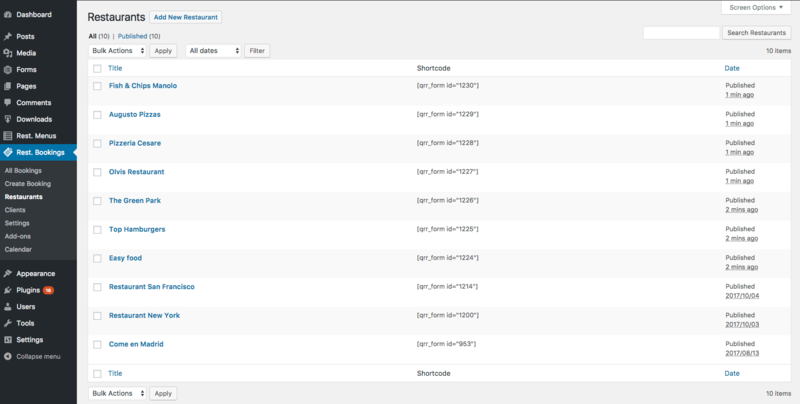 Manage all your bookings from the admin and filter them based by restaurant, date or status. 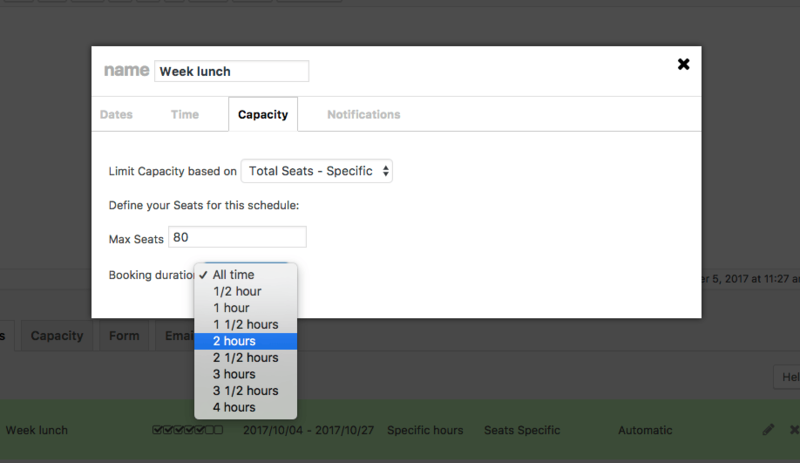 Create a list of schedules for each restaurant. 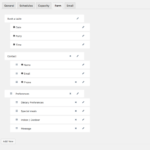 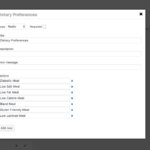 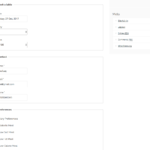 Customize your forms with several type of fields and let your customers select their preferences. 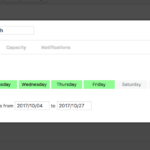 View all your bookings in a montly calendar view and filter them based on the status. 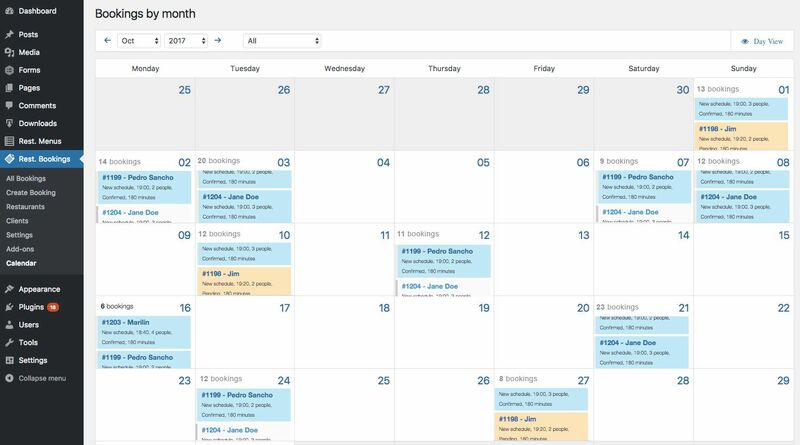 View all your bookings in a daily calendar view and filter them based on the status.